E Phillips Oppenheim was a British writer known for his thriller novels. He is credited with writing over 100 novels including suspense, international intrigue, romance, parables, and comedies. His protagonists are known for their love of luxury, gourmet meals, and their enjoyment of criminal activities. Two men, one old, one young, go on an African expedition. They join together in a mining venture that they think will make them rich when the English government recognizes their claim. They agree that, should one of them die, the other will get everything. 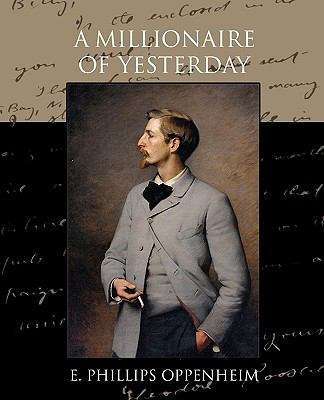 When the older man dies the younger returns to England a wealthy man where his partner's daughter refers to him as a millionaire of yesterday.